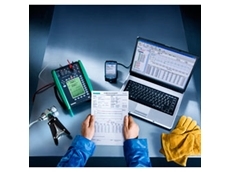 AMS Instrumentation and Calibration introduces a free cloud-based calibration software by Beamex to help users document calibration results. 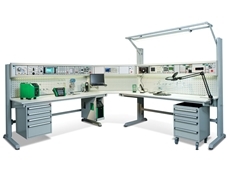 Beamex introduces the MCS200 Workstation, a new modular calibration system designed for workshops and laboratories. All meters and controllers in iTH series are high quality, highly accurate instruments featuring Newport's award-winning iSeries technology, uncompromising accuracy, and made in the U.S.A. quality. The instruments in iTH series are simple to configure and use, while providing tremendous versatility and a wealth of powerful features. 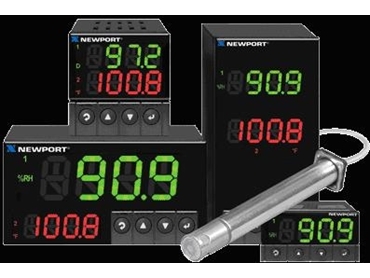 The Newport iTH series instruments are available either as monitors or controllers. 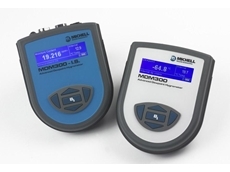 The monitors are accurate programmable digital panel meters displaying humidity, temperature, or dew point. The controllers also provide dual loop control for both humidity and temperature, and are easily programmed for any control or alarming requirement from simple on-off to full autotune PID control. The iTH family of meters and controllers are available in four true DIN Sizes with NEMA 4, IP65 splash resistant bezels: the ultra compact 1/32 DIN (the world's smallest dual loop Humidity + Temperature controller); the popular midsize 1/16 DIN square bezel with dual display; the 1/8 DIN vertical, and the 1/8 DIN horizontal with the big bright 21mm digits. The Newport iTH series LED displays can be programmed to change colour between green, amber, and red at any set point or alarm point. The iTH controller models offer a choice of two control or alarm outputs in almost any combination: solid state relays (SSR); Form C SPDT (Single Pole Double Throw) relays; pulsed 10 Vdc output for use with an external SSR; or analogue output selectable for control or retransmission of the process value. The networking and communications options (highly recommended) include direct Ethernet LAN connectivity with an embedded web server, and serial communications. The C24 serial communications option includes both RS-232 and RS-485. Protocols include both MODBUS and a straightforward ASCII protocol. The C4EI option includes both Ethernet and RS-485 ASCII/MODBUS on one device. The iTH series meters and controllers are designed for easy integration with popular industrial automation, data acquisition and control programs as well as Microsoft Visual Basic and Excel. 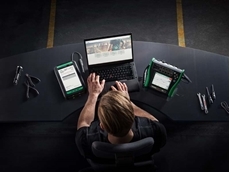 Newport provides free configuration and data acquisition software and demos, which makes it fast and easy to get up and running with many applications. 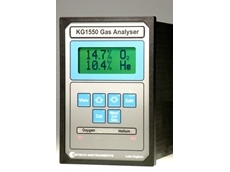 Newport iTH series instruments are available from AMS.